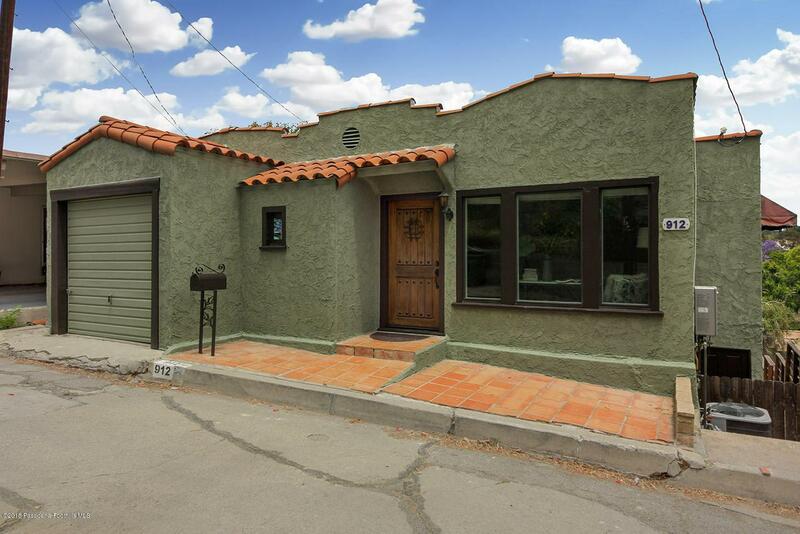 Nestled in the hills of the Garvanza district of Highland Park, this Spanish style, hillside home awaits! 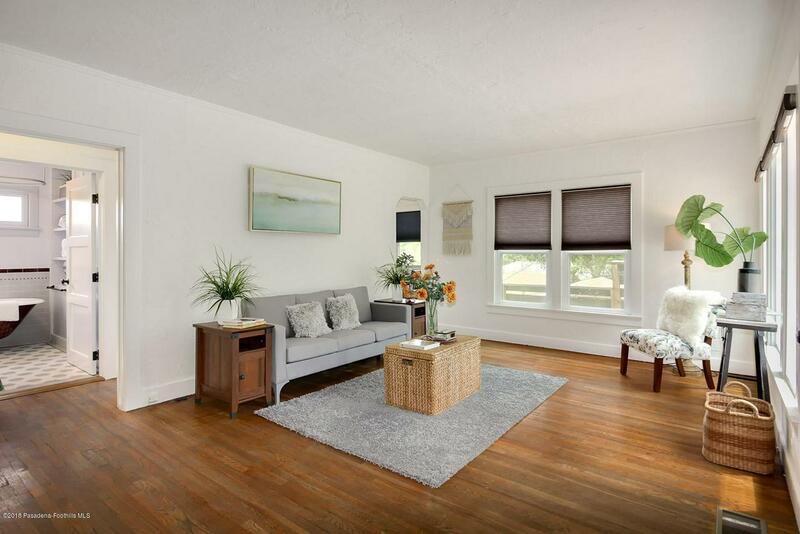 The top floor entry opens to a bright living room, with newer windows and hardwood floors that continue throughout the home. The eat-in kitchen has hillside views from every window. The top floor bedroom, currently used as the master, has built-in storage and those same gorgeous views. The renovated, full bathroom with a claw-foot tub completes the top floor. 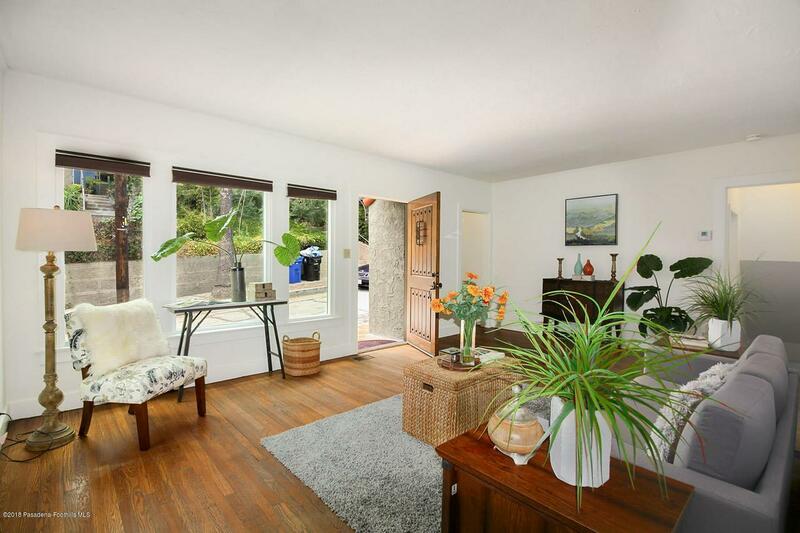 Downstairs there are two bedrooms and a 3/4 bath as well as a third room currently used as a home office with separate entry, but could have endless possibilities as a play room, a workout room, a den or a fourth bedroom. Each downstairs bedroom has direct access to the wooden deck and backyard that includes a very fruitful kumquat tree! There is even a basement (rare for Southern California!) with tons of storage and a laundry room. The home includes a one car garage with direct access to the top floor. Copper plumbing, tankless water heater, recently-replaced hvac, and freshly painted living area makes this a must see home! Enjoy all that Highland Park has to offer, as well as Pasadena, Eagle Rock and South Pasadena with an easy commute to downtown Los Angeles, just a few miles away. Sold by Wadih Schlah BRE#01893083 of Huntington Group. 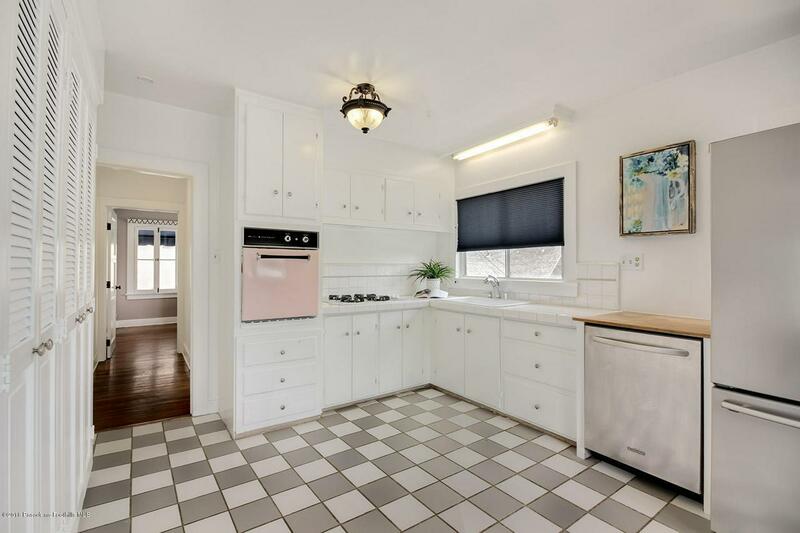 Listing provided courtesy of Jennifer Wenzlaff DRE#01893083 of Redfin Corporation.